When you’re shopping for your next Ford truck, an important question is likely crossing your mind: How much can the Ford F-150 tow? Known for its durability and capability, we think you’ll be pleased to learn about the impressive capacity of this award-winning Ford pickup truck. You can learn about towing and more below, and then take the Ford F-150 on the road in the Roaring Fork Valley with help from Glenwood Springs Ford. Looking for 2018 Ford F-150 Towing? Built to take on jobs large and small, the new Ford F-150 makes itself a tough contender in its class. This year’s model features a new design that removes 700 lbs. from the vehicle weight, making it able to take a bigger haul. The standard towing capacity rates at 8,900 lbs., more than enough for toys and big trailers. 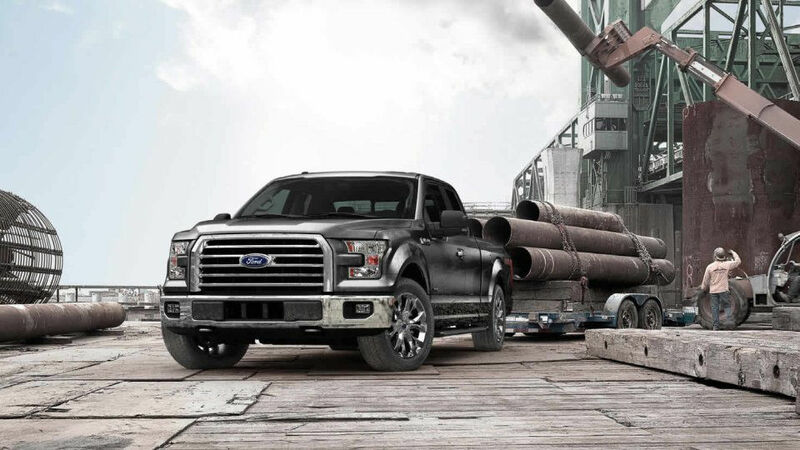 However, the fully equipped Ford F-150 can haul up to an impressive 12,200 lbs. You can equip the new Ford F-150 with Pro Trailer Backup Assist to help you take your big hauls in reverse, and you can also add Smart Trailer Tow Connector and trailer brake controller for timely synchronization of your brakes with the trailer’s. You have the option between the Trailer Tow Package on all models, or the Max Trailer Tow Package offered on the XL, XLT, LARIAT, King Ranch, and Platinum trim levels. There’s also a Heavy Duty Payload Package offered on the XL, XLT, and LARIAT models. A rearview camera also helps you monitor what you have in tow, and Blind Spot Information System with Rear Cross-Traffic Alert helps you avoid accidents with large objects attached, too. See how the capable and tough Ford F-150 will be your next best friend when you visit us at Glenwood Springs Ford. We’re located at 55 Storm King Rd, where our service and finance departments are housed as well. You can schedule a test drive by calling our team at 970-945-2317. We welcome all questions and feedback from our Colorado customers, so leave a message online today to let us assist you! 0 comment(s) so far on What is the Towing Capacity of the Ford F-150?